Description: Dr. 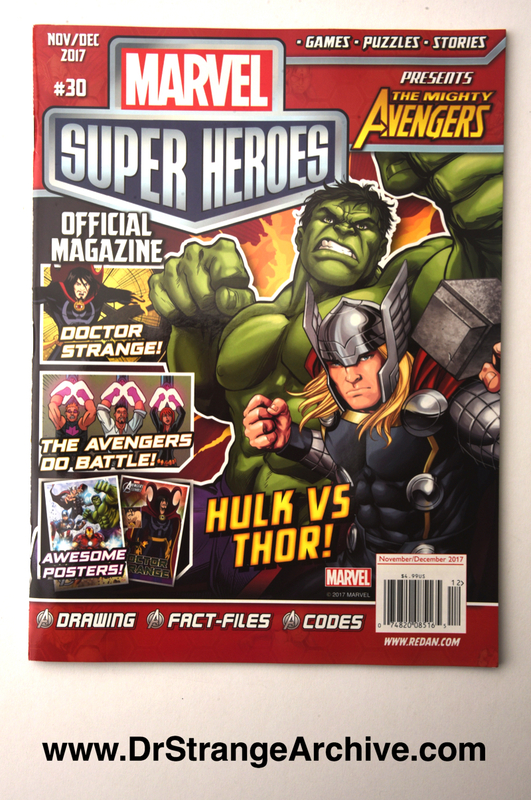 Strange appears on page 22,23, 30, 31, 32, 33 as well as a pull out small poster in the middle of this issue of Marvel Super Heroes Magazine. 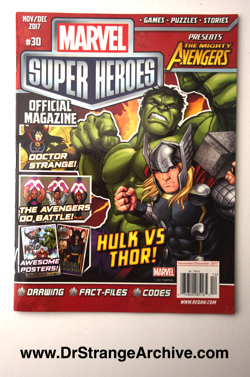 He helps out the Avengers in the main story of the magazine and has a few activities for you including drawing and coloring.